The death of Harry (Bob) Ira Marr, loving partner of Mary E. (Betty) Campbell, occurred at the Saint John Regional Hospital on February 7, 2019. Born in Saint John he was the son of the late Otis Manford and Dorothy (Jacques) Marr. 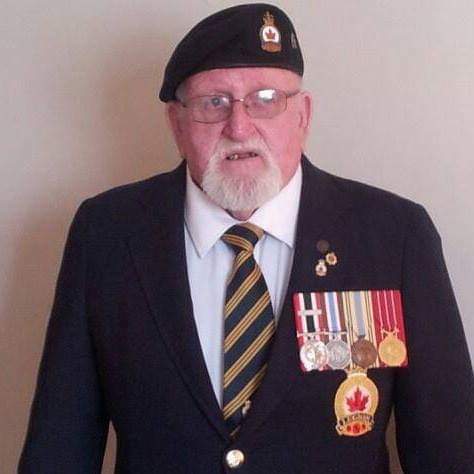 He served with the Canadian Armed Forces from September 22nd, 1960 until his retirement in 1979. He was a member of the Royal Canadian Legion Branch #69, he enjoyed photography, was an avid crib and dart player and enjoyed dancing. Besides Betty he is survived by his son Andrew (Joy) of Fredericton, daughters Susan LeSueur (Edward) of Brandon, Manitoba, Donna Marie Marr of Beaver Harbour, Cindy Magarvey (Dean) of Nauwigewauk and Pamela Marr (Kevin) of Chelsea, PQ, his several grandchildren, three great-grandchildren and several cousins, nieces and nephews. He was predeceased by his sisters Joyce Defazio and Donna Cormier. The funeral arrangement are under the care of Fundy Funeral Home, 230 Westmorland Road, (646-2424). Following cremation the family will gather in the Spring for a graveside service at the Rothesay Baptist Cemetery, Gondola Point. Remembrance made to the SPCA Saint John Animal Rescue League would be appreciated.